If you're into birds, you'll be into Willcox Playa Wildlife Area. Every winter, hundreds of species of birds make their way to this 595-acre wildlife habitat. It's an ideal spot for bird watching and photography. Hunting is permitted as well but it's a limited season. Mammals also roam throughout this ancient lakebed, including mule deer and javelina. Even amphibians and reptiles, such as western green toads and Mexican hog-nosed snakes, can be spotted. 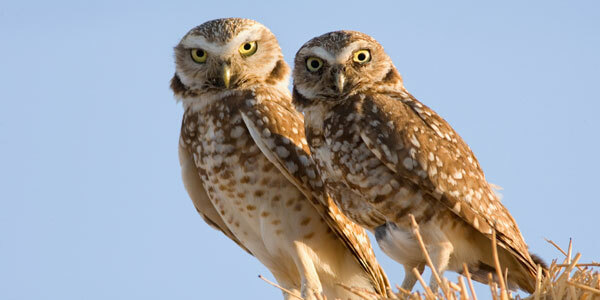 What kinds of birds will I see at Willcox Playa Wildlife Area? There is quite an array of aviary creatures that make an annual appearance. They include shorebirds, migratory waterfowl, songbirds, Swainson’s hawk, black-necked stilts, and sandhill cranes. Yes, you most certainly can ride a motorized vehicle at Willcox Playa Wildlife Area. However, this mode of transportation is only allowed on designated roads and trails or in designated areas.